All material on this web site is copyright under the ownership of Oliveri Heavy Vehicle Repairs. Any copying or use of material from this web site without the prior written consent of Oliveri Heavy Vehicle Repairs is prohibited. If you receive an email newsletter from us, it is because you registered for our newsletter or have ordered from us previously. If you would prefer to receive no more email newsletters, you can click on the 'Unsubscribe Here' link at the bottom of the newsletter or you can email us at info@oliveritruckrepairs.com.au. 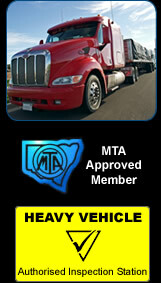 Oliveri Heavy Vehicle Repairs respects your privacy. We collect the information required to fulfil your order / enquiry and use your information only for purposes related to the services we provide. We hold your information with the utmost care and security and we do not sell or exchange our customers' details.